The protection of the city was assured thanks to its natural location and system of fortifications built in the XIV and XV century. 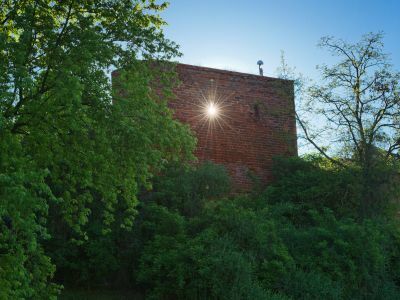 It consisted of about 750 metres of walls, 16 towers with a rectangular plan, two-storey, advanced in front of the wall line, open from the city side, two round towers and four gates: Malbork Gate, Gdansk Gate, Water Gate and Castle Gate. 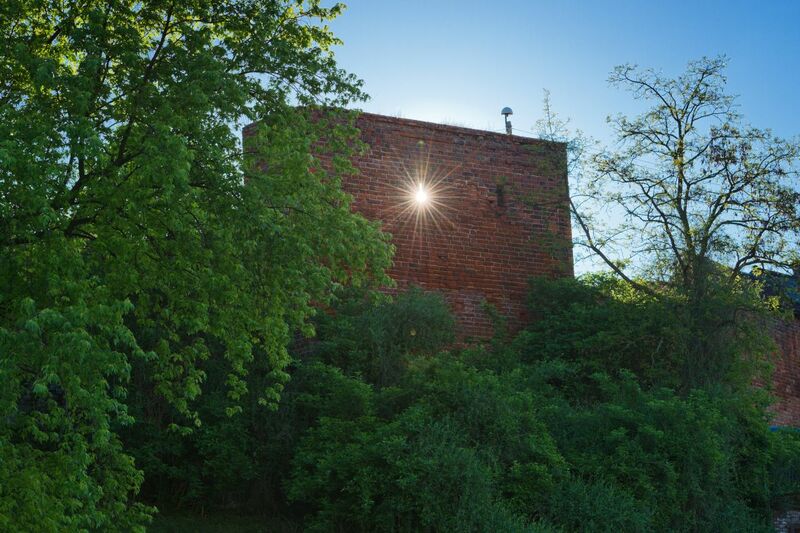 The largest remains of the walls were preserved along the street of Upper and Lower Podmur, while of the tower on the Sobieski Street. Walls of Gniew were made of brick, but just like other structures of this sort they were located on a special foundation bench, 1m high, which were connected with the irregular stone rocks with the brick rubble. The wall has got two types of brick binding, Vendian and Gothic, also called Polish. Wings of the gates were made of heavy oak wood, they had poles covered with iron, which with the properties of the war weapons of that times worked well and accounted for protection. Guard that stood on the gates also had the task to ensure the order in communication. 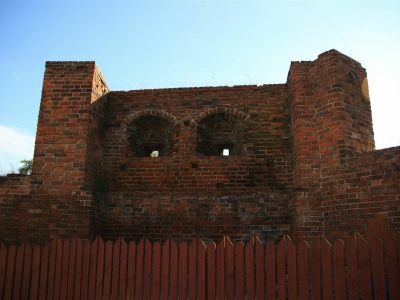 In the area of the Malbork Gate, the wall was connected with the castle fortifications. 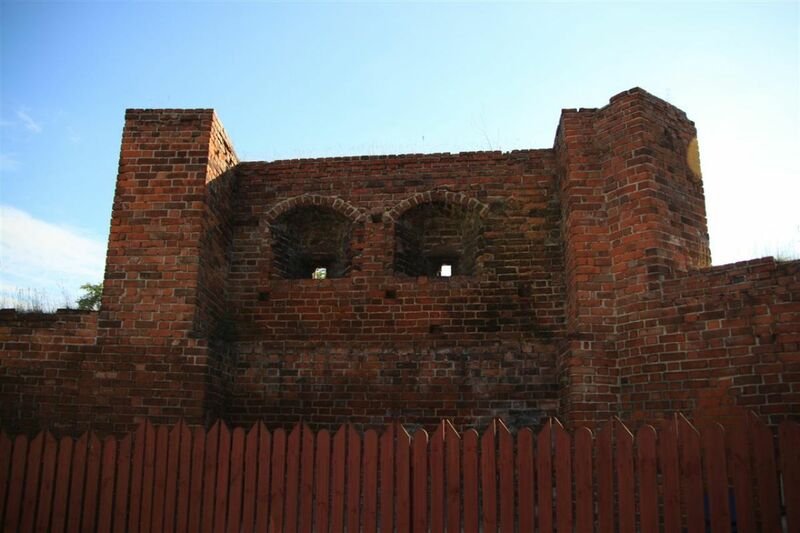 This fortification consisted of the wall surrounding the castle square, which inner side housed the outbuildings. The old Mill Gate from the southern side and the newer Dybowska Gate in the north, enabled the communication of the city with the castle, access to the mill and fishing. The area enclosed by the castle walls was created by the castle square, which centre had the castle itself protected by the deep gorge and “parcham”. From the southern and western part it was located normally, and it was double from the more exposed side – the northern and eastern side, and it was also 2m deeper than the internal one, so in case of an attack there were two defence lines. In the four corners of “parcham” there were also towers, connected with the stairs, on top and bottom, they enabled an amazing view on the land, through which the enemy could approach.